Create and Open your Document in Microsoft Word 2016 | Tutorials Tree: Learn Photoshop, Excel, Word, Powerpoint and Wordpress for free online. 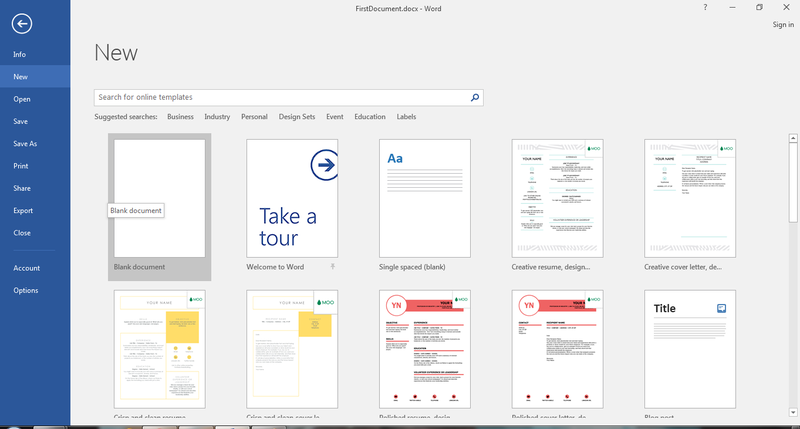 MS Word 2016 gives you a liberty to open multiple documents at a time. 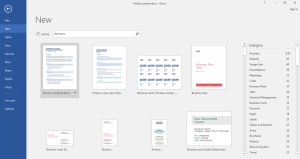 All the word files with the extension .doc, .docx, .dot, .dotm, .docm etc. are known as word documents which can be opened and edited in your application. 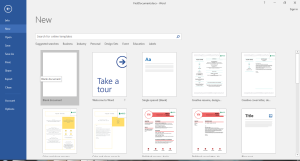 To Create a New document, you can go to the File Menu and go to option New. Here you get various options to create a file. 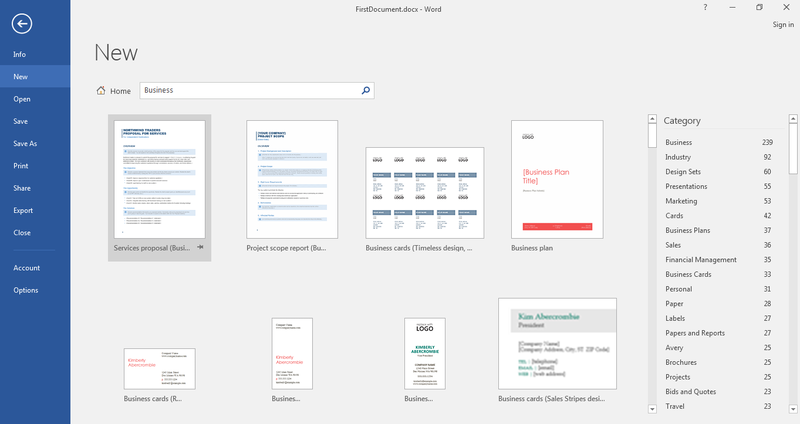 Either you can select a Blank Document or go for the templates given as options. These include a letter, resume, cover letter, blog post, different designs for reports, spec etc. You can also search online for different kinds of sample documents or templates for a specific document. When you select a document type, a new file gets created with a default name. You can edit the file by adding more content of different kinds and click on save. 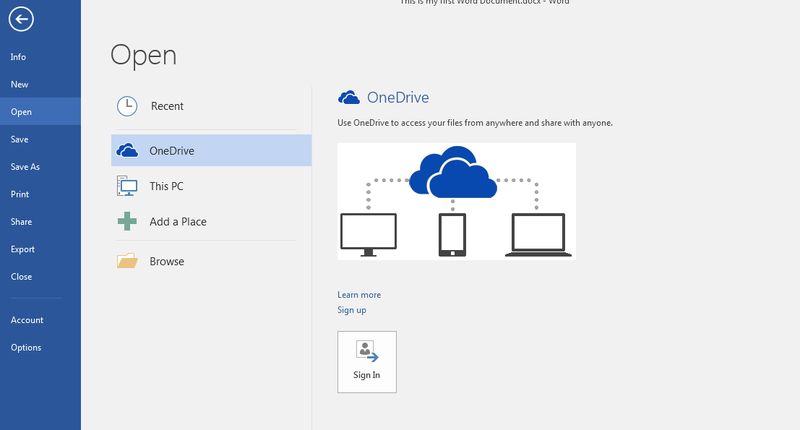 You can provide your document a name and select a format for the file too. 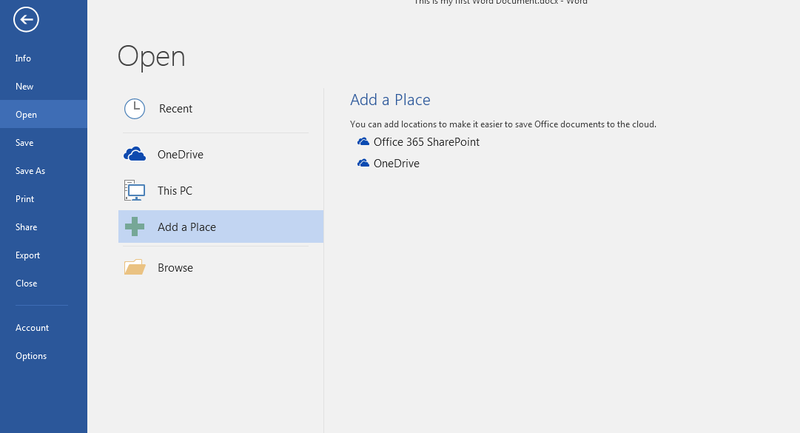 Once you close the document, you can open that document or any other document by going to option Open in the File menu. When you go to Open, you get different options. Recent: Here you will find all the recently opened files that you can directly access. OneDrive: This connects you to the drive on cloud so that you can access your files anywhere. 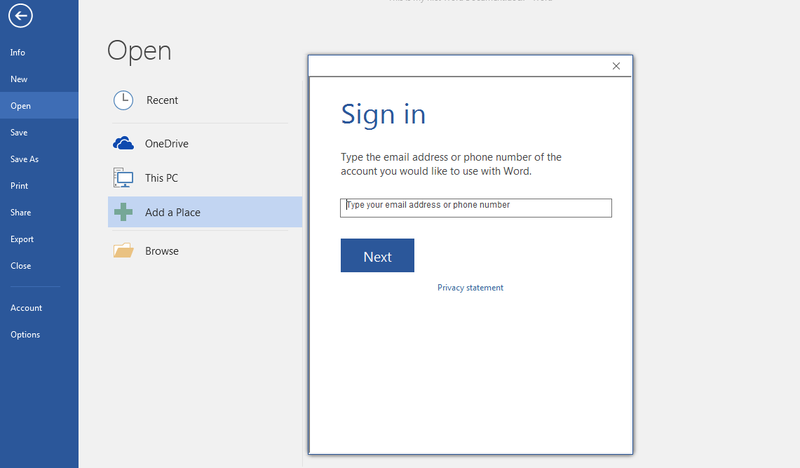 Here you get an option to sign in to your drive. You can only access this option if you are connected to the internet. 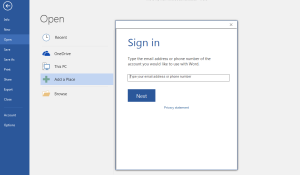 This PC: This helps to access the files stored at any location on your computer. 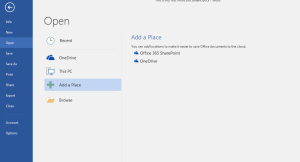 Add a Place: Here you can add any online storage and sharing location like SharePoint.